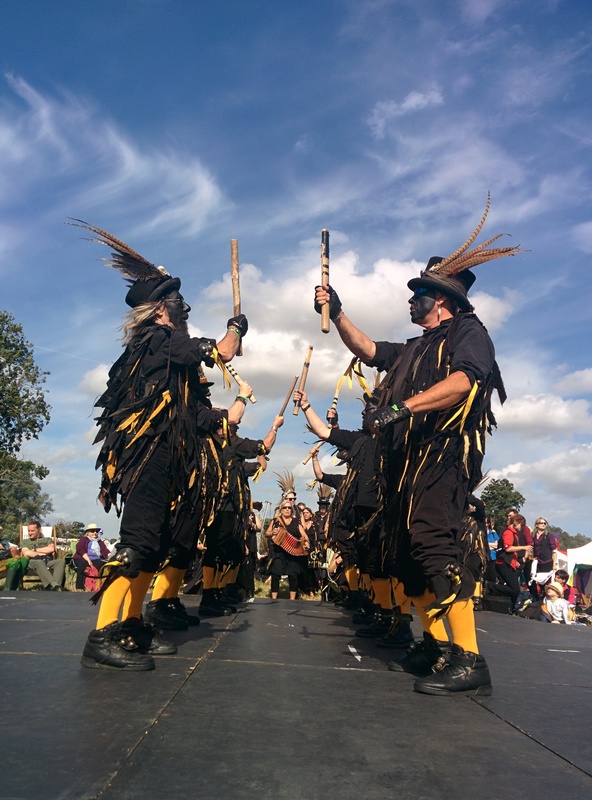 Dancing next on the 4th & 5th of May at Rochester Sweeps Festival. 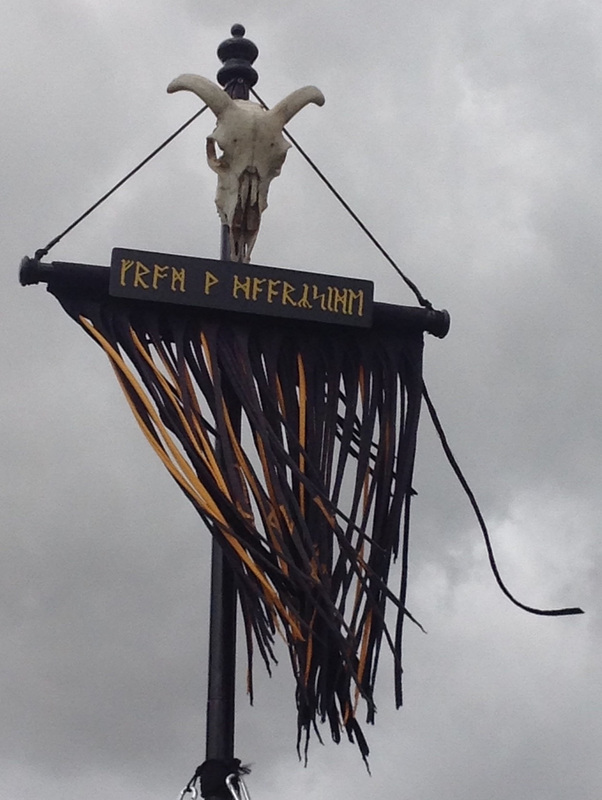 "When he is dancing, the true morris-man is serious of countenance, yet gay of heart; vigorous, yet restrained; a strong man rejoicing in his strength, yet graceful, controlled, and perfectly dignified withal" but he'd never seen The Witchmen! The Witchmen dance Morris from the Daarkside where pagan ritual dance meets street entertainment. 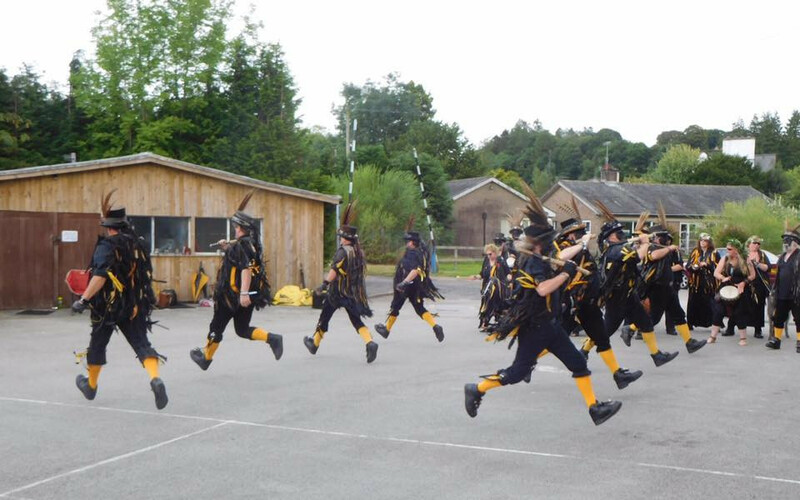 Traditional border morris dances originated in the Welsh border counties, we have mutated that style to create dances which are exciting, entertaining and relevant to 21st century audiences. We preserve the morris tradition and entertain audiences. The way an old man half remembers performing a dance in 1898 does not define it for all time, that was just a stage the tradition passed through which was relevant to its time. 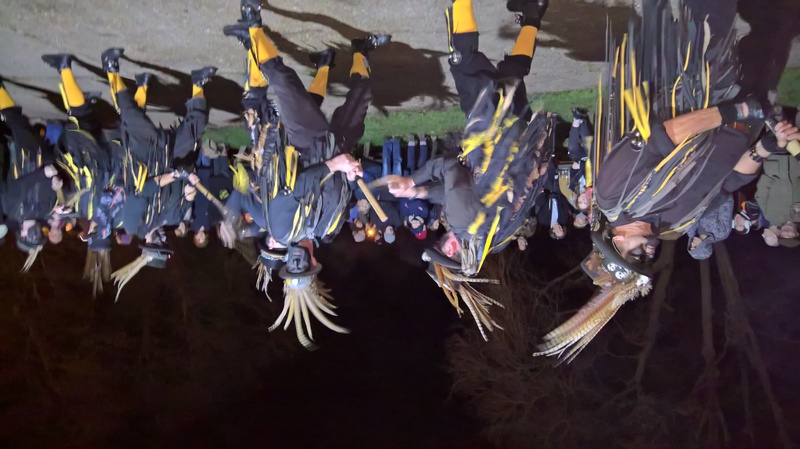 We are part of an ongoing morris tradition which will only survive as long as audiences enjoy watching it - for over 30 years The Witchmen have been making sure that happens.